P.E.I. 's only certified organic beef comes in small packages — right from the farm. Dexter is a heritage breed of cattle from Ireland, and not only are they hardy, needing only pasture or hay — they're also almost comically short, standing around a metre tall, and are about 30 per cent smaller than conventional breeds. 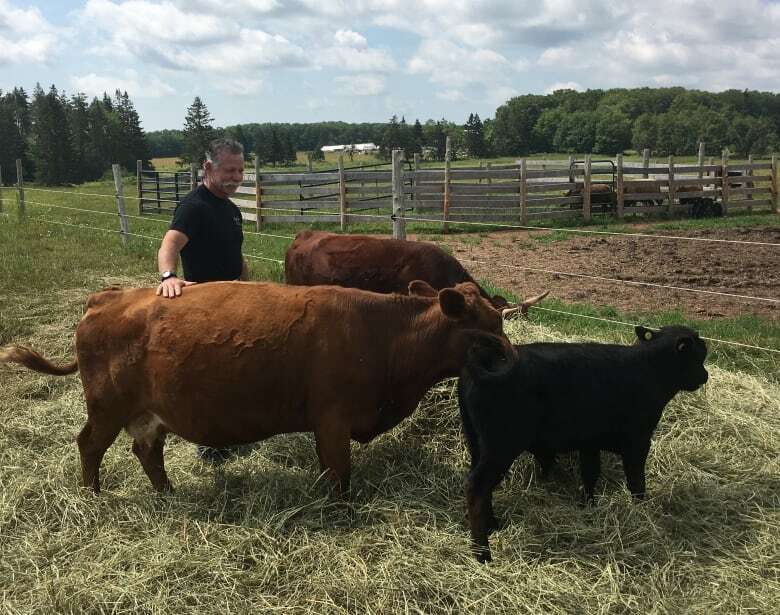 "They've been around for hundreds of years, going back to the days of the Celts," said Mike Lafortune, who with his wife Evelyn started the Dexter Cattle Company in 2014 in North Milton, P.E.I. "They were also known as the poor man's cow, because the landholders at the time — they would have one cow, and that cow provided them with milk, with meat and with heat — because they would bring it in the house!" Lafortune raised Dexter cattle in Colorado for 20 years before moving here, and has now collected and bred a herd of about 75. He plans to grow the herd to about 200. "They're extremely docile. That's one of the things that I like the most — they're just a lot of fun to be with," Lafortune said, scratching the cows behind their horns. They're so docile, in fact, the cattle do not need to be de-horned, or castrated. From a business standpoint, he said, Dexters can be "quite profitable" — not only do they produce meat, but they give a "wonderful" milk, Lafortune said. They milk a few for their own personal use and make cheese, he said. The profitability comes from the fact that Dexters do not need to be fed grain — they graze on grass and hay. Although they do need pasture, they convert forage to meat more efficiently than other breeds. Dexters almost never get sick, he said, since they have very robust immune systems — if they do get sick they recover quickly. They also don't need help giving birth or nursing, as many cattle do. And, when a Dexter is processed, Lafortune said the meat-to-bone ratio is higher, so the end result is more meat. 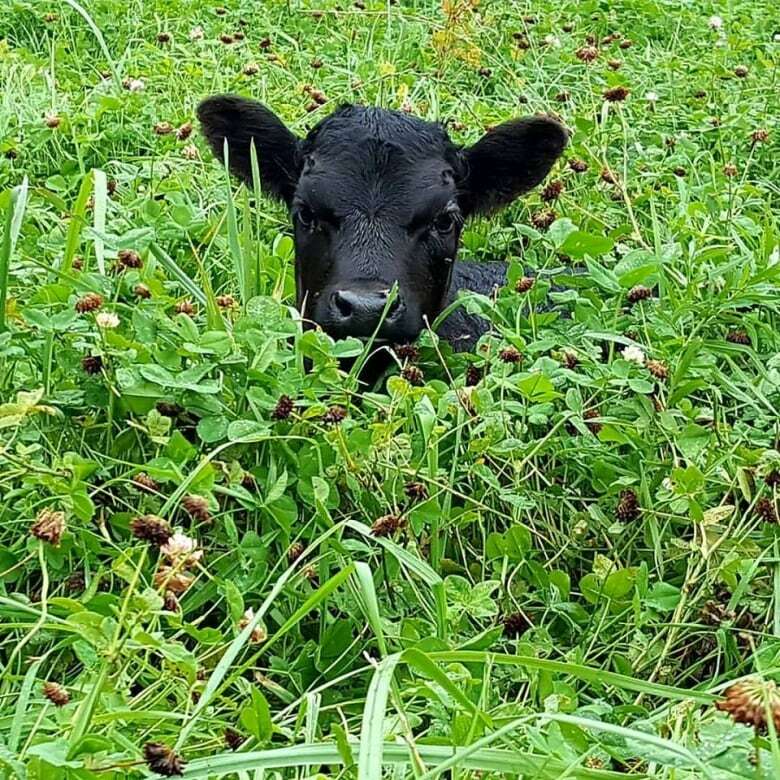 "So raising them as an organic cow is ideal, because they are low maintenance, they thrive on just grasses, and the only shelter they require is a three-sided run-in shelter. They don't need to be in a barn, they don't want to be in a barn," Lafortune said. Why don't more people raise these little gems? "I think one of the reasons is they are unusual — they're quirky," he said. "People are used to seeing big cows. Nobody wants to be the one with the little cows, because then the question is how can you make any money?" "The answer is, quite easily," Lafortune said, for the above reasons. The grass-fed meat he praises as "absolutely phenomenal," he said — lean, but tender and tasty. The Lafortunes market the meat directly to consumers. skipping the middleman. 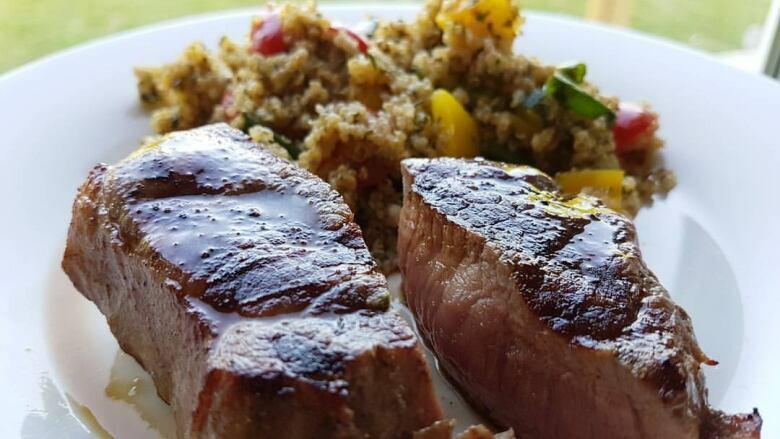 The Dexter Cattle Co. is the only certified organic beef farm on P.E.I. Other Island farmers have tried it, but said they didn't make enough money for it to be worthwhile. 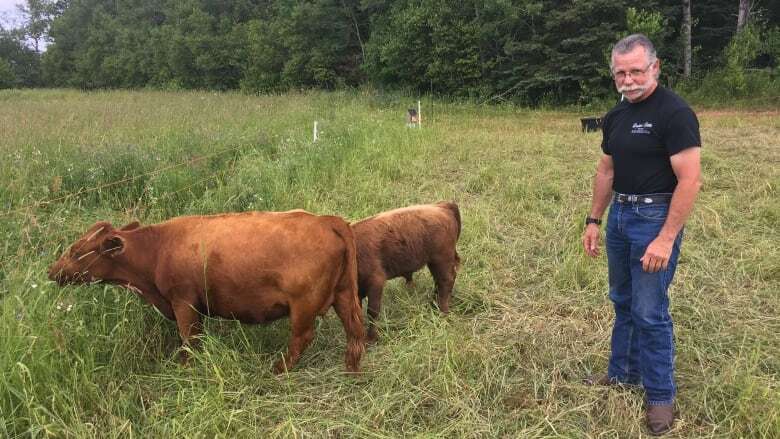 The Lafortunes would like to see more organic producers on P.E.I., and have started a non-profit association called The Organic Beef Association, a national group with the intent of promoting the organic beef industry. "The demand far exceeds the supply -— we absolutely cannot keep up with our production," he said. "A lot of people are seeking it out, so I wish more people would get involved in this process." "That's the worst thing you can do, is tell somebody, 'I can't help you, we just don't have enough for you right now — maybe next year,'" he said. While going organic sounds complicated, Lafortune said it's not all that hard — "it's just a matter of following the system." 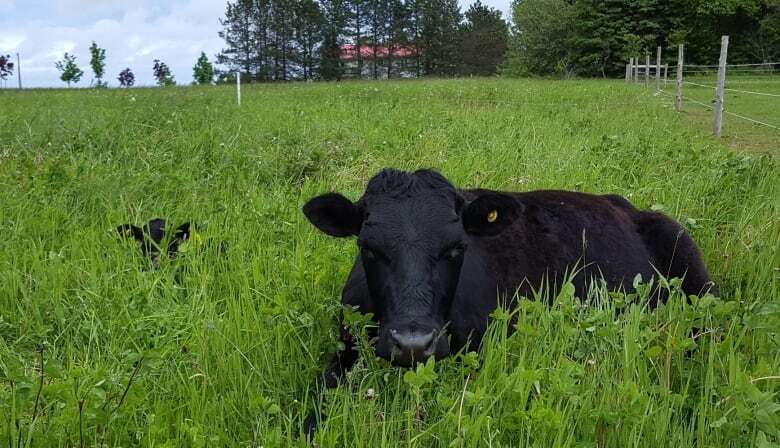 Another deal-breaker can be finding enough certified organic pasture — land that has not been treated with chemicals for three years or more. "That change of direction is scary for some people, because obviously a mistake can be quite expensive," Lafortune acknowledges, while adding, "the market is completely wide open, for everyone." Because the Dexters are small and docile, they're easy to handle. They're also easy to fall in love with, Lafortune admits — each has a name, and a distinct personality. 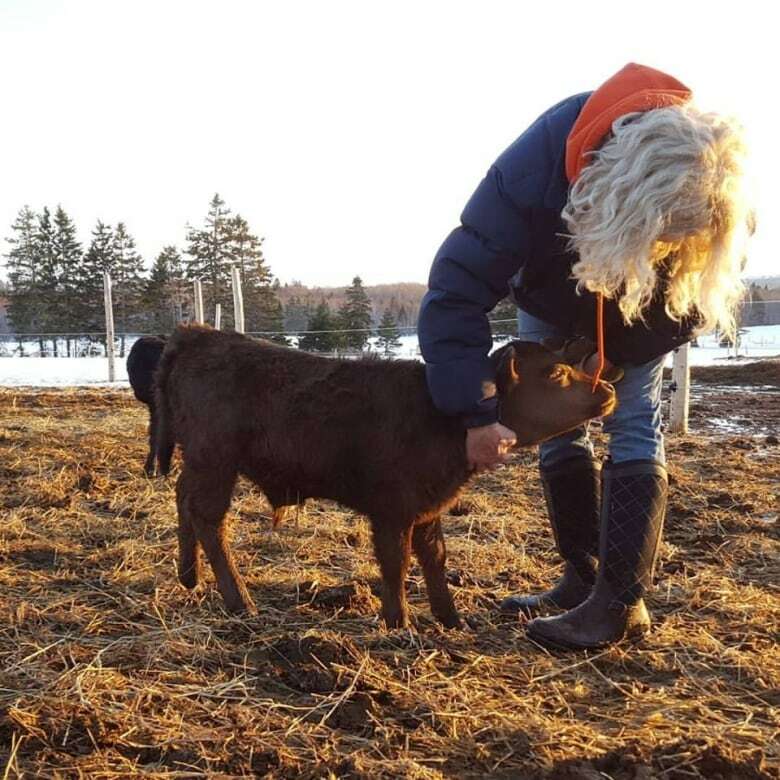 While it can make sending the animals to be slaughtered (at a small, local abbatoir) difficult, Lafortune said they're not all destined for the table — cows too old to breed are retired, living their lives out with the herd on pasture. "It's good karma," Lafortune smiled. The retired animals are also useful, Lafortune said — they'll lie with new calves while their mother grazes. "We try to treat them with the respect and the dignity they deserve," he said.